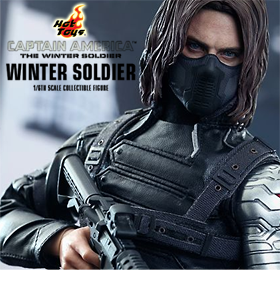 Toy Nippon: BBTS News: Black Friday, The Hobbit, Mortal Kombat, Hot Toys, Frozen, Halo, Marvel, DC & More! 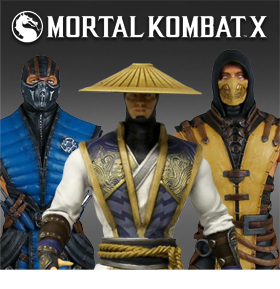 BBTS News: Black Friday, The Hobbit, Mortal Kombat, Hot Toys, Frozen, Halo, Marvel, DC & More! 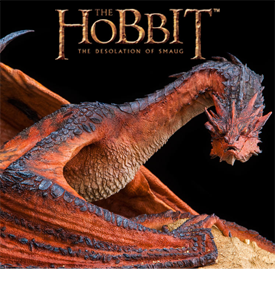 This 1/72 scale statue stands 20.5" wide by 17.7" deep and 11.8" high, and shows Smaug protecting his hoard. Weta continues the legacy of producing finely crafted, highly detailed collectible polystone statues from Middle-earth. Smaug the Terrible is a Limited Edition piece of 2,000. 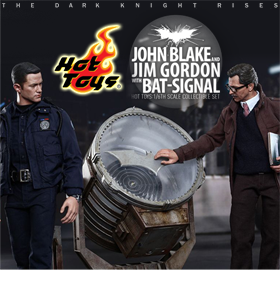 This figure includes a Joseph Gordon-Levitt head sculpt, a remote-controlled LED Lit Bat Signal, a police uniform, accessories and more. This figure has diecast content and LED lighting effects. 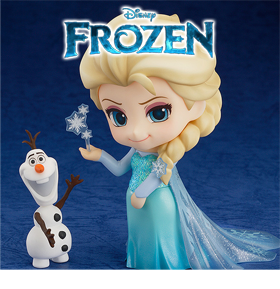 It stands about 5.5" tall and comes with alternate hands and a light-up display stand. A couple of new assortments have been announced from this popular figure line. The Series N Case of 12 includes four each of Arkham Origins Batman and Zeppelin Harley Quinn, three of Arkham Origins Joker and one of Black Mask; this assortment is listed at $109.99. The Series P Case of 12 includes three each of Arkham Origins Batman and Zeppelin Character (no further information is available currently on this one), two each of Arkham Origins Joker and Zeppelin Harley Quinn and one each of Hush and Black Mask; this case is also listed at $109.99. In addition, you can get the Set of 6 (one each of all six figures) for $74.99, with singles available of most figures at $10.99 each. Threezero is producing a new 1/6 scale figure of the protagonist of the popular game series. He comes with alternate hands, multiple weapons and more. Mazinger Z stands 7" tall in this new release, which has diecast content and includes alternate hands, a Jet Scrander and more. HL Pro is releasing a new version of the Metaltech Grendizer, done in black with silver and yellow detailing. It stands 6" tall and comes with a display base, a die-cast spaizer and two wing accessories. We have just listed a variety of new items, such as Revoltech Micro Figures of RM009 Ribun Mask and RM010 Warsman, Legacy of Revoltech LR-025 Lupin, LR-026 Jigen Daisuke and LR-024 Iron Man Mark V, an Assemble Borg Figure set and more. This popular line continues with new sublines like Haunted Student Spirits, Freaky Field Trip and more. Fans won't want to miss these new offerings. This pig-nosed diminutive worker mans Bespin's systems. He stands in scale with the 12" figures of this line. The first of two new Star Wars sculptures is the Hero of Yavin Han Solo bust. It comes numbered and with a Certificate of Authenticity. This 1/8 scale piece shows a Stormtrooper as they appeared five years before "A New Hope". It comes with a Certificate of Authenticity. Gentle Giant is branching out and starting a new Jumbo line of Marvel figures, starting with Spider-Man in his black costume from Secret Wars. This upgrade set gives you nice shiny wings. This kit includes a new head and forearms with a cannon and blade, as well as a scabbard. This set is available in three different colors and is listed at $32.99. The Japanese Limited Edition version is $34.99. This set will include one or more each of two different Autobot and two different Decepticon symbols. This statue measures about 12" tall and shows Duke Fleed standing in the hand of Grendizer. It is limited to 777 pieces worldwide. The Witch of the Wilds from the Dragon Age series comes to life in this 19.5" tall statue. She is dressed in a ball gown in this piece, which shows her ready to cast a spell. From the upcoming film "Chappie" comes this humanoid robot statue. It stands about 18" tall. This new game is for 2-5 players and has two different ways to play. It includes a number of miniatures including an AT-ST, and it is listed at $89.99, $10 off the MSRP. We have also listed a variety of add-ons such as Chewbacca or Rebel Saboteurs, and they are priced at $9.99 to $19.99 each. Included in this new game are ship miniatures, squadrons, more than 130 cards and tokens and more for you to have ship-to-ship battles. This set comes with 8 different Iron Man figures, a display bay and a connector to attach a figure to your plug on your phone. This display includes Tony Stark's round base where he suits up, as well as his assistant dummy robot. Funko is expanding their Pop! 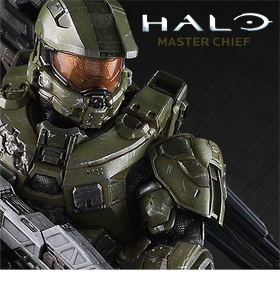 line by adding a variety of Next Gen figures. This wave includes Captain Picard, Riker, Data, Worf, Deanna Troi, Geordi, Locutus of Borg and a Klingon. Dynomighty Design and DC have paired up to present the Bombshells in a new way. These wallets contain the art from Batgirl, Catwoman, Harley Quinn, Poison Ivy, Supergirl and Wonder Woman. This pale warrior holds the Kusanagi sword and is accompanied by a giant snake in this new 7" statue. This piece is limited to 600 pieces and shows Renji and his giant skeletal snake Zabimaru. This statue measures 17" tall. These metal cases are embossed with Batman or Superman's symbol. This list is full of stuff from our recent shipment. We have Generations Windblade at $16.99, Guardians of the Galaxy Platinum Legends, a variety of Star Wars figures, GI Joe and more. This dinosaur changes into a robot wielding a pair of guns and a pair of hammers. This new Case assortment of 12 includes two each of Ep III Darth Vader, Ep V Jedi Training Yoda, R5G19, Ep V Hoth Luke - Wampa Attack, Darth Malgus and Starkiller, and this Case is priced at $114.99, We also have them as a Set of 6 (one of each figure) at $59.99, and a Set of 4 (Darth Malgus, R5G19, Starkiller and Ep V Hoth Luke - Wampa Attack) for $44.99. Singles are also available of the figures in the Set of 4, and they are priced at $11.99 each. This armor bay includes light-up effects on the stand, the ceiling and back wall, and can attach to other bays to make a whole Hall of Armor display. Included in this Case of 14 are five each of Dr. Zaius with Long Coat and General Ursus as well as four of Dr. Zira. The Case is priced at $229.99, $85 off of the MSRP. We also have these figures listed as a Set of 3 for $52.99, and singles of Ursus and Zaius are priced at $18.99 each. A new shipment of Pop! figures, ReAction figures, bobbleheads and more has arrived. This time we have 6" Legacy Collection Game of Thrones figures, TMNT, Guardians of the Galaxy and much more. Check out this list to see the new arrivals. A number of new and returning MOTU Classics items are in stock. We have 12" Stratos, Tung Lashor, Bow, Arrow and the Classics Battle Ram currently in stock. The first case assortment of Total Heroes includes two of Batman and one each of Superman, the Flash, Hawkman and Steel, and is listed at $69.99. The Set of three new figures (Flash, Hawkman, Steel) is listed at $48.99, and singles are available of Batman and Superman at $12.99 each. We also have the Nuclear Man in stock This figure comes with multiple heads and more. This version of Batman is Thomas Wayne under the cowl, and wears a black, grey and red outfit.